Who hasn’t lost their keys at one time or another? 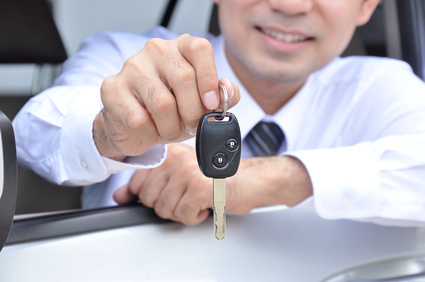 For rental-car agency Sixt, headquartered in Germany, keeping track of car keys was a “key” part of customer service. Having to wait while keys were located for a specific vehicle was a major source of frustration for customers and employees alike. And the frustration didn’t stop there. Customers who disputed rental return times had no proof to back up their arguments. Employees who were told a car was ready for rental would often find that it was still being washed. No one was happy. Sixt decided to try an innovative application of RFID, using UHF RFID tags on the vehicles’ key fobs. The RFID tags showed exactly where the keys were stored; they recorded check-out and check-in times; they could even track a car through the cleaning process. And the results? Customer complaints have dropped by 30%. Just as important, according to Alexander Boone, Sixt’s head of project and innovation management, employees are much happier. “The happiness of the employees at the branch has a positive impact on customer satisfaction.” Read the full story here at RFIDjournal.com: http://bit.ly/1qwzqza.